"I will punish you for your 4 years of arrogant service.."
A threatening letter is received by a just re-elected governor. The next day an explosion occurs in a newly constructed subway tunnel. The governor was formerly the minister of construction and transportation. Detective Conan and his colleagues head to Nigata to investigate staff members who worked on dam, while the governor worked as the minster of construction and transportation. 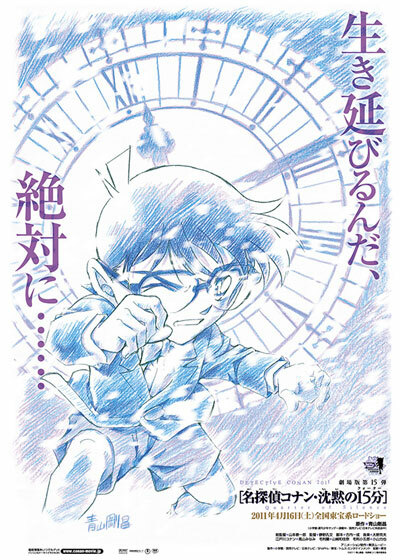 ismiati Dec 01 2011 9:23 am i hope can watch this film...my favorite "Detective Conan"
me Jul 21 2011 12:20 am great!! !